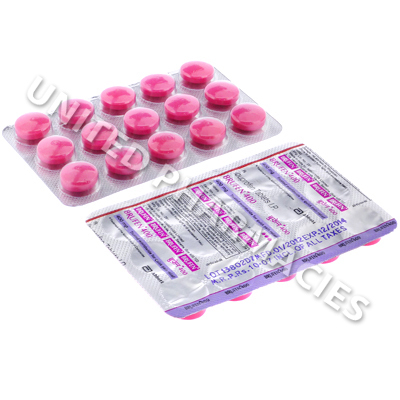 Brufen-400 (Ibuprofen) is used to provide relief from backaches, muscle pain, menstrual pain, headaches, fever and mild or moderate pain caused by other conditions. In some cases, doctors may prescribe it for the treatment of pain and stiffness occurring as a result of rheumatoid arthritis and osteoarthritis. This medicine is in a class of drugs called NSAIDs (an abbreviation for non-steroidal anti-inflammatory drugs). Brufen-400 (Ibuprofen) is used to provide relief from backaches, muscle pain, menstrual pain, headaches, fever and mild or moderate pain caused by other conditions. In some cases, doctors may prescribe it for the treatment of pain and stiffness occurring as a result of rheumatoid arthritis and osteoarthritis. This medicine is in a class of drugs called NSAIDs (an abbreviation for non-steroidal anti-inflammatory drugs). It works by blocking the production of a substance called COX (cyclo-oxygenase), which in turn helps to reduce swelling and pain. Brufen-400 (Ibuprofen) comes in the form of 400mg tablets, which are taken by mouth. Adults taking this drug to provide relief from pain which is mild to moderate are sometimes told by their doctor to take 200mg to 400mg at 4 to 6 hour intervals. Treatment of other conditions may require different dosages, and in all cases, patients must only take the amount of medicine prescribed by their doctor. Tell your doctor if any side effects occur. You will require medical attention immediately if you notice weight gain, decreased urination, skin blisters, blurred vision, confusion or any other symptoms of a severe reaction. In some cases, this medicine may increase the risk of stroke or heart attack. Therefore, it is important to discuss the risk of this with your doctor before starting treatment. Although rare, there is a possibility that treatment with this medication may lead to intestinal bleeding or bleeding from the stomach. Always use Brufen-400 (Ibuprofen) as you have been prescribed by your doctor. Never self-medicate or change your dosage without first consulting your doctor. The correct dosage can vary depending on your health, medical history, and the severity of the condition being treated.